Thats all. Game finished - Galatasaray 1, Benfica 2. Second Half ended - Galatasaray 1, Benfica 2. João Félix - Benfica - receive yellow card. Delay in match João Félix - Benfica - - injury. João Félix - Benfica - won a free kick on the right wing. Corner - Benfica. Conceded by Marcão. Substitution - Benfica. Andreas Samaris for Gedson Fernandes. Mbaye Diagne - Galatasaray - won a free kick in defence. New attacking attempt. Filip Krovinovic - Benfica - shot with left foot from the left side of the box is saved by goalkeeper in the centre of the goal. Assist - Gedson Fernandes. Offside - Galatasaray. Christian Luyindama with a pass, however Mbaye Diagne is in offside. New attacking attempt. Christian Luyindama - Galatasaray - shot with the head from the centre of the box is saved in the top right corner. Assist - Younès Belhanda with a cross. Missed chance. João Félix - Benfica - shot with right foot from the right side of the box is close, but missed. Assist - Gabriel Pires. Missed chance. Christian Luyindama - Galatasaray - shot with the head from the centre of the box missed. Assist - Younès Belhanda with a cross after corner. Corner - Galatasaray. Conceded by Ferro. Offside - Benfica. Gabriel Pires with a pass, however Haris Seferovic is in offside. Shot blocked. Sofiane Feghouli - Galatasaray - shot with right foot from outside the box is blocked. Substitution - Benfica. Filip Krovinovic for Franco Cervi. Yuto Nagatomo - Galatasaray - won a free kick in defence. Offside - Benfica. Gedson Fernandes with a pass, however João Félix is in offside. 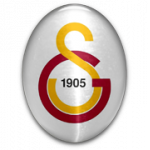 Corner - Galatasaray. Conceded by Odisseas Vlachodimos. Substitution - Galatasaray. Sinan Gümüs for Badou Ndiaye. Substitution - Galatasaray. Mariano for Martin Linnes. Offside - Galatasaray. Martin Linnes with a pass, however Sofiane Feghouli is in offside. Yuto Nagatomo - Galatasaray - receive yellow card for a foul. Florentino Luís - Benfica - won a free kick in defence. Missed chance. Sébastien Corchia - Benfica - shot with left foot from outside the box is close, but missed. Assist - Florentino Luís. Missed chance. Gedson Fernandes - Benfica - shot with right foot from outside the box missed to the left. Shot blocked. Gabriel Pires - Benfica - shot with right foot from outside the box is blocked. Assist - Haris Seferovic. Goal! Galatasaray 1, Benfica 2. Haris Seferovic - Benfica - shot with left foot from the centre of the box to the top left corner. Assist - Rúben Dias with a through ball. Offside - Galatasaray. Marcão with a pass, however Henry Onyekuru is in offside. New attacking attempt. Haris Seferovic - Benfica - shot with right foot from the centre of the box is saved by goalkeeper in the centre of the goal. Assist - Gedson Fernandes. Yuri Ribeiro - Benfica - won a free kick in defence. Henry Onyekuru - Galatasaray - won a free kick in defence. Shot blocked. João Félix - Benfica - shot with right foot from outside the box is blocked. Assist - Florentino Luís. Goal! Galatasaray 1, Benfica 1. Christian Luyindama - Galatasaray - shot with the head from few metres to the left corner. Assist - Yuto Nagatomo with a cross. Gabriel Pires - Benfica - receive yellow card for a foul. Martin Linnes - Galatasaray - won a free kick on the right wing. New attacking attempt. Haris Seferovic - Benfica - shot with right foot from the left side of the box is saved by goalkeeper in the centre of the goal. Assist - Gabriel Pires. Badou Ndiaye - Galatasaray - receive yellow card for a foul. Gedson Fernandes - Benfica - won a free kick on the right wing. Substitution - Benfica. Gabriel Pires for Eduardo Salvio - injury. Delay in match Eduardo Salvio - Benfica - - injury. Second Half starts Galatasaray 0, Benfica 1. 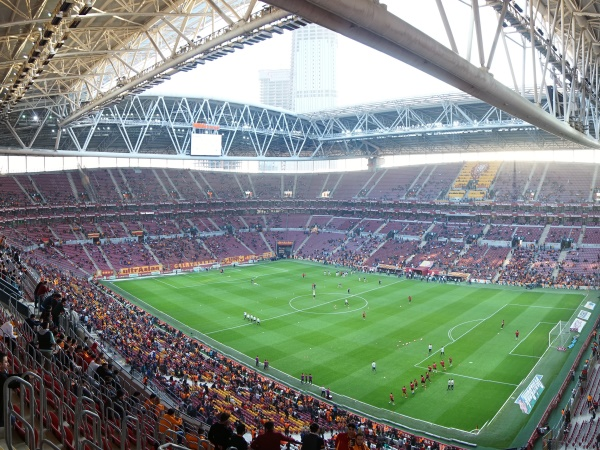 First Half ended - Galatasaray 0, Benfica 1. Missed chance. Florentino Luís - Benfica - shot with right foot from outside the box is high and wide to the right after corner. Corner - Benfica. Conceded by Martin Linnes. Corner - Galatasaray. Conceded by Florentino Luís. Missed chance. Mbaye Diagne - Galatasaray - shot with the head from the centre of the box missed to the left. Assist - Younès Belhanda . Gedson Fernandes - Benfica - receive yellow card for a foul. Henry Onyekuru - Galatasaray - won a free kick in attack. Fernando - Galatasaray - receive yellow card for a foul. Gedson Fernandes - Benfica - won a free kick in defence. Offside - Benfica. Odisseas Vlachodimos with a pass, however Haris Seferovic is in offside. New attacking attempt. Fernando - Galatasaray - shot with right foot from outside the box is saved in the right corner. Assist - Younès Belhanda. Shot blocked. Haris Seferovic - Benfica - shot with left foot from outside the box is blocked. Assist - Eduardo Salvio. Goal! Galatasaray 0, Benfica 1. 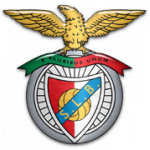 Eduardo Salvio - Benfica - converts the penalty with a shot with right foot to the left corner. Penalty conceded by Marcão - Galatasaray - with a hand ball in the penalty area. Odisseas Vlachodimos - Benfica - won a free kick in defence. Badou Ndiaye - Galatasaray - won a free kick in attack. Franco Cervi - Benfica - won a free kick in attack. Missed chance. Mbaye Diagne - Galatasaray - shot with right foot from the right side of the box missed. Eduardo Salvio - Benfica - won a free kick in attack. Missed chance. Sofiane Feghouli - Galatasaray - shot with right foot from outside the box is close, but missed after corner. Corner - Galatasaray. Conceded by Sébastien Corchia. Shot blocked. Henry Onyekuru - Galatasaray - shot with right foot from the centre of the box is blocked. Corner - Galatasaray. Conceded by Rúben Dias. Mbaye Diagne - Galatasaray - won a free kick in attack. Badou Ndiaye - Galatasaray - won a free kick in defence. Missed chance. Franco Cervi - Benfica - shot with left foot from the left side of the box missed. Assist - João Félix. New attacking attempt. João Félix - Benfica - shot with right foot from outside the box is saved by goalkeeper in the centre of the goal. Assist - Franco Cervi. João Félix - Benfica - won a free kick in attack. João Félix - Benfica - won a free kick on the left wing. Missed chance. Henry Onyekuru - Galatasaray - shot with the head from outside the box missed to the left . Henry Onyekuru - Galatasaray - won a free kick on the left wing. Corner - Benfica. Conceded by Christian Luyindama.